Welcome to effects & processors information. Here we will attempt to offer some guidance & advice for beginners who may be confused by the new world of home & studio recording & dance music making. To start with, these are the top-selling FX & processors last month at Thomann superstore, one of the largest retailers in Europe - This shortlist gives you some pointers as to what products are popular in this category at today's date. Basicaly for dance music, FX & signal-processors can make or break a track and sound. Delay FX can be used to create new and cool rhythmic patterns with your sounds or to make thundering rolling beats and drum patterns such as on the classic Leftfield track "Born Slippy" where rhythmic delay was added to the drums to create the classic rolling beat. 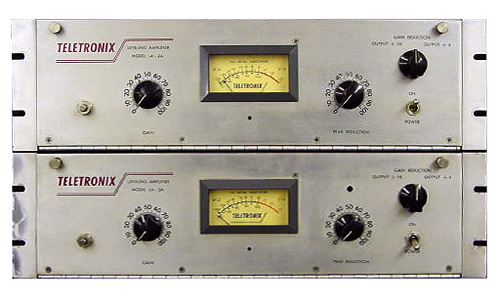 Compression effects of course are anorher strong point in dance music. Compression can be used not only for it's classical role of containing dynamic's, but creatively to spice up and modify basslines and drum parts by adding pumping or trigger style compression effects. Broadly you can say that dance music tends to use effects and processors more creatively than other more traditional genres - By that we mean that items like a typical eq-unit tend to be used in 'traditional recording' to tweak sounds (often quite subtley) or for corrective tasks while generaly leaving the sound as natural as possible - With dance music production the eq-unit is often used radicaly to create unique sounds, huge eq sweeps and eq-filter effects etc. Effects are broadly devided into two categories regardless of how they are utilised in the studio - These two types are Time based effects and signal processors. Time based effects are things like delay, reverb, chorus & flanging... any effect which depends on manipulating the playback time of the original signal to create their effect. 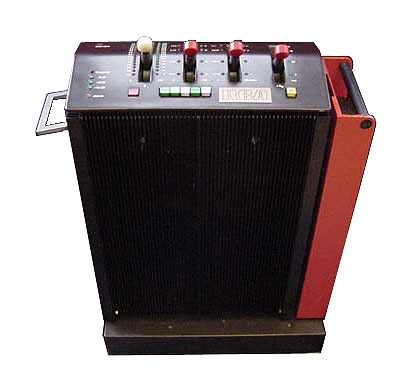 Signal Processor type effects are things like compressors, gates & eq units... These type of effects are generaly used by passing the entire signal thru the unit, and hence they 'process' the entire signal or sound. Additive effects - These are broadly delay and reverb effects - They are called "additive effects" because generaly the method used to employ them is to send SOME of the original signal to an additive effect unit, and then return the effected sound back into the mix where it is ADDED to the original sound.. Hence "ADDITIVE" - Additive effects come after the original sound and do not require that the whole sound is passssed THRU this type of effect unit - Why?... because think about it... a delay or reverb in a big hall or canyon always comes AFTER the original signal! The other type of effect is generally known as an "Insert effect"
Insert effects - They are called 'insert effects' because their primary role is fullfilled when a signal is passed THRU this type of unit - for example and EQ unit is an Insert effect because generaly when eq'ing a sound you want to pass thr whole signal THRU the eq unit so as to adjust the sound frequencies (although you can use EQ as an "additive effect" to create 2 copies of the same singla each one eq'd differently) - If you used an EQ unit as an "additive effect" to try and eq a whole sound, then you'd hear the original UN-eq'd signal AND the eq'd copy of the signal together in the mix, and any eq you altered would be cancelled out by the original un-eq'd signal which has not passed thru the eq unit. You can however use Eq as an "additive effect" to create techinques such as splitting a sound into 2 differently eq'd copies of the signal which you could then pan to different positions in the mix. Compression is the other classic "Insert effect" type, again because when compressing a sound you generaly want the whole signal to be compressed (althought there are techniques where one uses compression as an "additive effect", such as when performing "parallel compression"). You generaly don't want to send some of the original signal out to a compressor, then return the compressed sound back into the mix and blend it in with the orignal signal - If you did that you'd have the original UN-compressed signal and the returned compressed signal together in the mix which would negate any compression you added because you can still hear the original UN-compressed sound - Hence we tend to usualy pass a signal THRU an Insert type effect unit, although that's not a hard rule when it comes to creativity! Parallel compression is a technique where you send a stereo drum mix to a mixer bus, compress it quite drasticaly to get pumping, and then blend this bus mix of the stereo drums in with the actual drum-mix - This add's a heavily compressed stereo version of the drum-mix into the actual drum-mix and you can then adjust the amount of pumping compressed drum-mix you want to hear - use this technique to grind up your drums without actualy adding the radical compression across the whole drum-mix! Eq (equalisation), delay, gating and compression are mainstay processors for all genres of music, but in dance music production we can use these components much more radicaly than when they are employed traditionaly. Eq curves on individual items in a dance music mix can be extreme. Sometimes the most wonderously harmonic things happen if you radicaly eq an item out of almost all recognistion to it's traditional eq-curve - Further to this, whole sections of tracks are often exposed to again; quite radical eq movements and effects. Compression & delay affects can also be used in dance music with extreme settings not usualy employed when using them in their traditional roles - These 2 effect items can work to alter quite radicaly the groove and rhythm of the track - The release and attack time of compression can alter the groove quite radicaly; get it right and the groove pumps more... get it wrong and it throws the groove off. Same with delay effects, they have to be clocked in time with the original track tempo, and you can then use delay time-divisions of the original track tempo to make patterns groove harder or change completely! - Tempo delay is a great tool for creating new patterns - Try setting up a delay unit BEFORE you start to play and create a new synth pattern. With the delay added and clocked to the sequencer you hear a cascade of repeats after each note you play, and using the repeats as actual notes you can create wacky rhythms using just a few actual synth notes by letting the delay pattern fill in the gaps with rhythmic repeats! 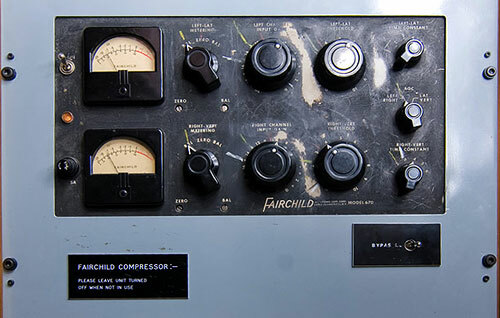 The audio compressor is a very useful item, and one which you need to add to your system at some point if you are recording any type of audio, but especially vocals, basses & drums. 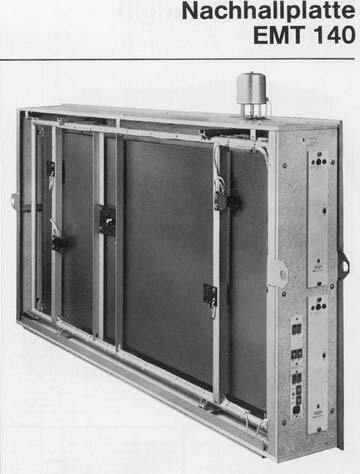 Audio gates can be used in their traditional role to keep microphone and other channels silent until a signal plays, or they can be used for special effect duties. 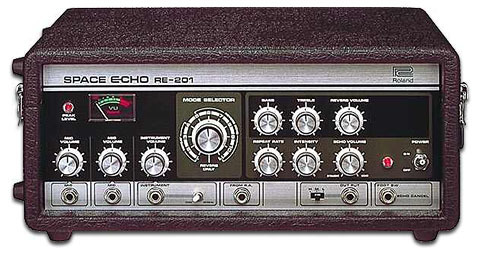 Delay or echo effects add repeats to the original signal, from long distinct repeats which follow on from the original signal, to very short delays including modulation effects such as chorus & flanging etc. Reverbs add space to sounds, from tiny rooms to huge canyons and halls. 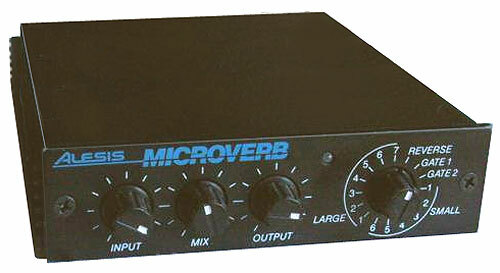 Use reverb to place instruments and other sounds at various distances from the listener in your mix. or nominate an unlisted effects-unit here! For listed effects, please leave your comments or review on the actual effect-unit item page - You can browse all effects in the GEAR section - if you have an actual question, try asking on the forums.